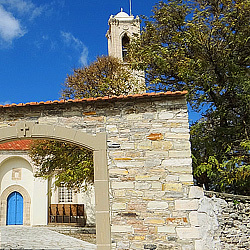 There are many wonderful sights and memorials for anyone visiting this beautiful historical village of Choulou, such as the many Chapels, the watermill, the lower fountain, Saint George Church, Saint Theodoros Church, the Church of Pantanassas, the mosque, the Ezousa River and the two stone arched bridges. Sights that will quench your thirst for a wonderful day out! 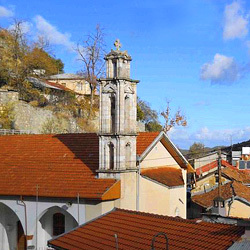 Another version of the origin is that the founder of the settlement is of a Syrian family: “Goul”, or the Syrian original family of the white genoas’, with the surname “Guli” Later, during the reign of King Peter the 1st Montolif and his family, whose origins were from the south of France. This was referred to in the chronicles of Leontiou Machaira who was a great writer living in the period between 1360 -1450. He served the Frangous bosses who dwelled on the island during this time. The chronicles of Machaira bring extensive evidence of facts and persons who had direct relations with Choulou of Paphos. 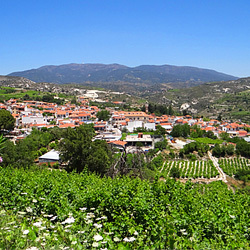 At this time the owners of the land Choulou, John de Montolif and his wife Joanna d’Aleman lived in a palace; which was situated on the land next to the church of the nearby village Panagias of Pantanassa. We note here that half of the church was built during this era, and was part of the palace. Joanna d’Aleman was young and beautiful when King Peter the 1st between the two young lovers and the feud that it caused between Joanna and King Peters wife Eleonora, a famous song came into being called “Arodafnousas” which is still popular to this day, in and around Choulou. 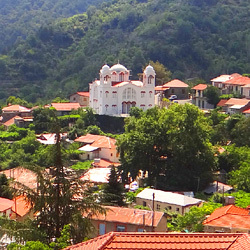 Some time later, the village became inhabited by Latinas and so became a dual community, Latin and Orthodox. 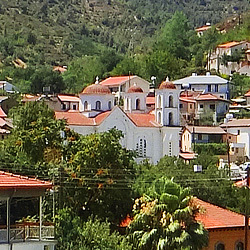 The Orthodox people used the Church of Saint Theodoros, and the Latinos used the Church of Saint George. 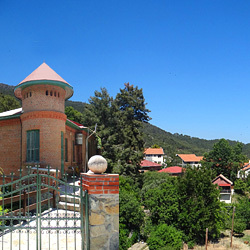 During the Ottoman invasion, the Turkish people forced the Latinos to leave the village or change their faith to Muslim. They also converted the church into a mosque which remains until today and is in excellent condition. 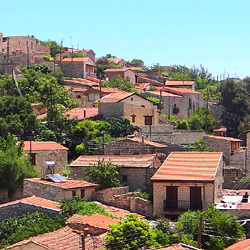 After the Ottoman period there is no official data found on the population of the village. Information begins to be written again, when the English begin to populate the Island. In the year of 1881 the population of the whole village was 434, in1891 it was 457, in 1901 it was 557, and in 1911 it was 605 habitants. In 1921 and 1931 population was 621 and by 1946 the number was now 820, of which, 703 were Greek Cypriots and 117 were Turkish Cypriots. 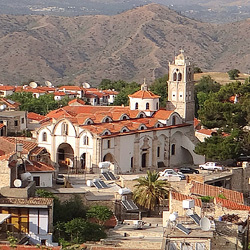 Both nations cohabited harmoniously until 1964 which is the time when inter communal riots began between the people, and the Turkish Cypriots abandoned the village, after orders from Ankara to have all the TurkishCypriots gather together, from around the various different villages of Cyprus, in order to make them a bigger, stronger community. 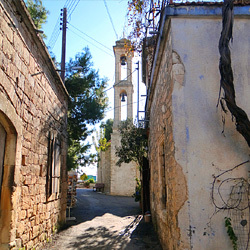 This is why, after the census of 1973 the Greek Cypriot inhabitants of the village was around 600 but after 1982, was reduced to just 450. From this time, the information gathered shows the dramatic population reduction due to urbanization. 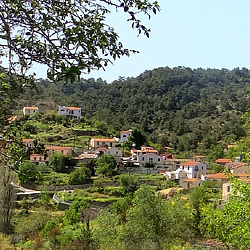 To this day, the inhabitants of the village are no more than 120 locals, together with a few British Expats who moved permanently to the village. (1359-1369) Choulou was owned by nobleman John de fell in love with her. 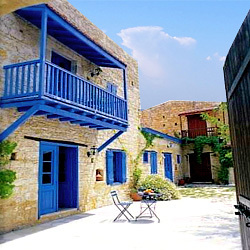 Due to this relationship Geographical Position Choulou is situated 22 kilometres northeast of the town of Paphos. 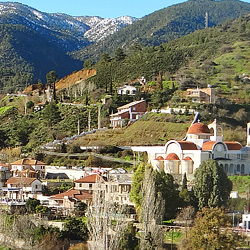 It is a mountainous area bordering the forests of Paphos. 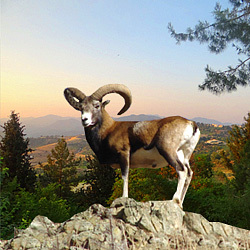 It boasts mild winters and cool summers without humidity, however, due to the mountainous area, there is the occasional snowfall. The altitude from the sea is just 400metres. 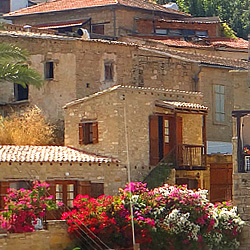 It is also situated right beside the river of Ezousas. In the village there are three establishments that are open to guests for overnight stays, one coffee shop, one restaurant and one snack bar, which provide daily refreshments to locals and passersby alike, all situated close together in and around the heart of the village.